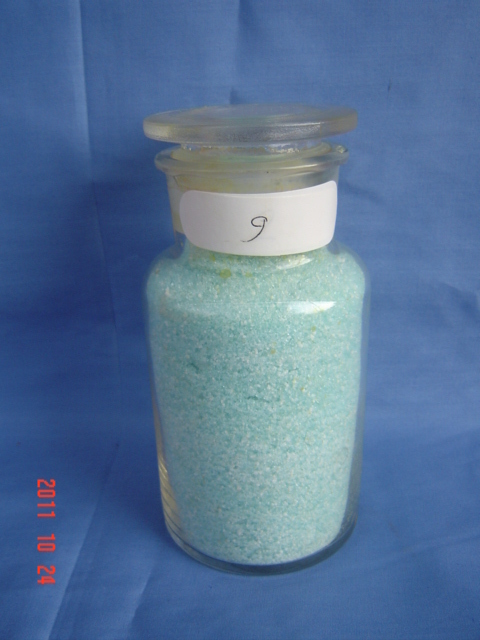 Properties: Blue Green monoclinic crystal or granule. No odor. Weathering in dry air, in the humid air surface oxidized into ferric subsulfate. Brown became the four hydrate at 56.6 degrees, a hydrate at 65 DEG C. Water soluble / almost insoluble in ethanol. The water solution is cold in the air slow oxidation, reheat when rapid oxidation, adding alkali or exposure can accelerate the oxidation. Looking for ideal Used As Reducing Agent Manufacturer & supplier ? We have a wide selection at great prices to help you get creative. All the Reagent for Chromatographic Analysis are quality guaranteed. We are China Origin Factory of Ferrite / Water / Polymerization Catalyst. If you have any question, please feel free to contact us.